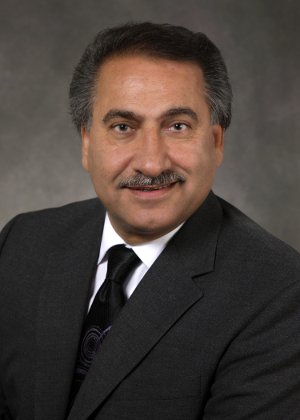 Majid Abab, The Boeing Company, has been selected as the recipient of the 2017 Industry Engineer of the Year Award in recognition of his many contributions to developing process improvements for Boeing production shops and assembly operations and for his development of simulation procedures to enable optimization of industrial processes. During his 38-year career with Boeing Commercial Airplanes, he has had numerous organizational responsibilities and special taskforce assignments within all aspect of industrial engineering functions. As the leader of the Core Industrial Engineering Organization, he was responsible for developing and deploying process improvements as well as developing strategic plans for utilization and career planning of industrial engineering employees. In addition, he managed the Boeing Industrial Engineering Internship Program for many years. He created the Industrial Engineering Virtual University at Boeing that supports industrial engineers throughout the company. This web-based information repository gives company engineers 24-hour access to detailed information about 14 major areas of industrial engineering. He has used industrial engineering methods to help lead development of new production systems which improve environmental performance both at the factory and in the operation of commercial aircraft. Under Majid’s coaching and guidance, industrial engineers at Boeing have worked on cross-functional team projects and airplane programs involving alternative fuels, improved navigation systems, cleaner burning engines, and improved aerodynamics. Each new generation of aircraft has reduced carbon dioxide and other emissions per passenger-mile flown. He is an active member of the industry advisory boards for industrial engineering programs at three major universities, participates in Junior Achievement programs at local high schools, coaches youth soccer, and volunteers with the American Red Cross.